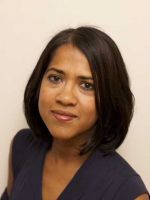 I am a consultant urological surgeon with subspecialty interests in female urology and paediatric urology. My medical school training was at Guy’s and St Thomas’ Medical Schools with urology training within the London Deanery. I was awarded a PhD in prostate cancer molecular biology at University College London, in 2010. Malthouse T, Lam W, Brewin J, Watkin N, Ayres B, Nitkunan T. Penile lesion in end-stage renal failure - cancer or otherwise? Calcific uremic arteriolopathy presenting with a penile lesion. Can Urol Assoc J 2015 Mar-Apr;9(3-4):136-7. Dindiyal S, Nitkunan T, Bunce C. The economic benefit of photodynamic diagnosis in non-muscle invasive bladder cancer. Photodiagnosis Photodyn Ther. 2008 Jun;5(2):153-8. doi: 10.1016/j.pdpdt.2008.05.001. Epub 2008 Jul 7. Review. Nitkunan T, Wong OG, Oinuma I, Zhou C, Blanc V, Brown RS, Bott SR, Nariculam J, Box G, Munson P, Constantinou J, Feneley MR, Klocker H, Eccles SA, Negishi M, Freeman A, Masters JR, Williamson M. Plexin-B1 mutations in prostate cancer. Proc Natl Acad Sci U S A. 2007 Nov 27;104(48):19040-5. Epub 2007 Nov 16. Nitkunan T, Johal N, O'Malley K, Cuckow P. Secondary hypospadias repair in two stages. JPU. 2006; 2(6): 559-563. Johal N, Nitkunan T, O'Malley K, Cuckow P. The two stage repair for severe primary hypospadias. Eur Urol. 2006; 50 (2): 366-371. Constantinou J, Nitkunan T, Al-Izzi M, McNicholas TA. Testicular granulocytic sarcoma, a source of diagnostic confusion. Urology. 2004 Oct;64(4):807-9.